Cat appointments are booked first thing in the morning because it is a slower and easier time of day for cats to handle. We will work gently with your cat and do what they allow. If we feel your cat is too stressed out during the time of service we may stop the process if we feel necesasary. Prevent long, sharp claws from tearing your furniture and skin. Removal of litter that can stick to your cat's paws and fur. Removal of oil and grease from their fur. Removal of wax buildup in their ears. Reduce shedding on your furniture. No! Cats do not groom themselves, they are not able to eliminate or prevent mats, kill fleas, trim their nails, clean out their ears, or wash away the grease from their skin and coat. Please call today and schedule your appointment to bring in your cat for one of the Spa Services listed! We have a purrr-fessional staff ready to give your cat the treatment they deserve. Includes a double bath in all natural shampoo, and hand dryed.This includes nail trimming, ear cleaning, and brush out. 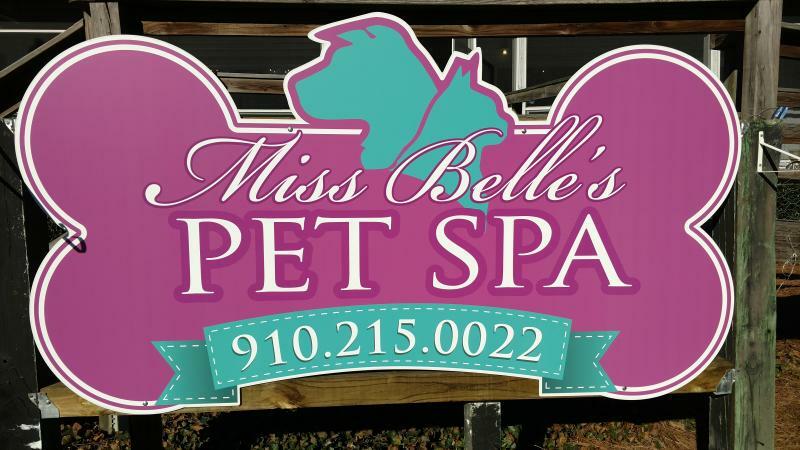 This spa package includes all the services listed above plus a hair cut, and de-matting if needed. Prices vary between cats. It is based upon tempermant, coat length, and condition of the hair. Feel free to call us for a quote!